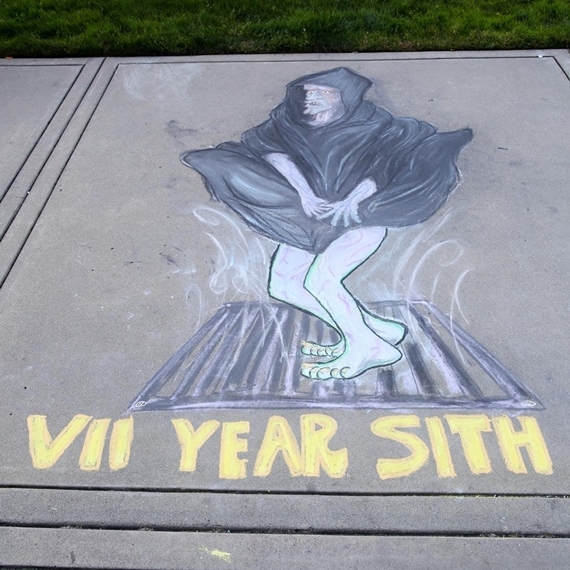 If you were in San Francisco last week and sensed a great disturbance in the Force, don’t worry — it was probably just the Lucasfilm Sidewalk Art Festival. 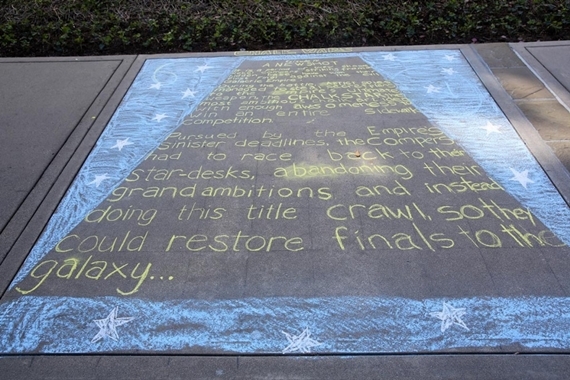 The event is pretty much exactly what it sounds like: an excuse for employees of Lucasfilm and ILM to deface the walkways of San Francisco’s Letterman Digital Arts Center, but in an awesome way. 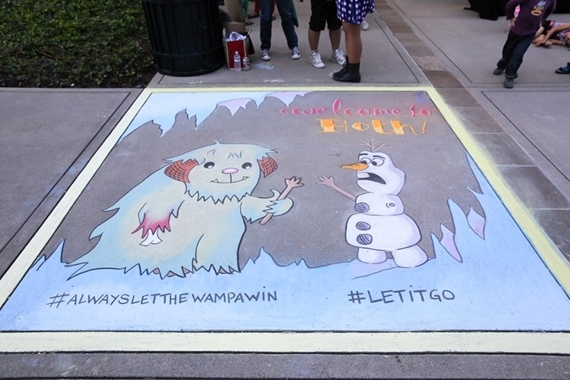 After all, how could you not love a competition that results in the above piece, ““Calvin and Hoth,” by the “Let’s Chalk About It” team? 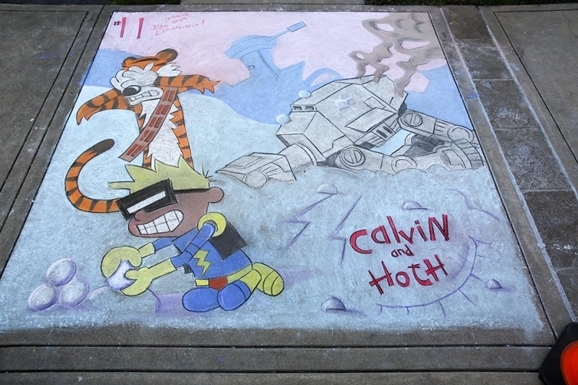 Apparently we aren’t the only ones who love it, as “Calvin and Hoth” won first prize in the competition. 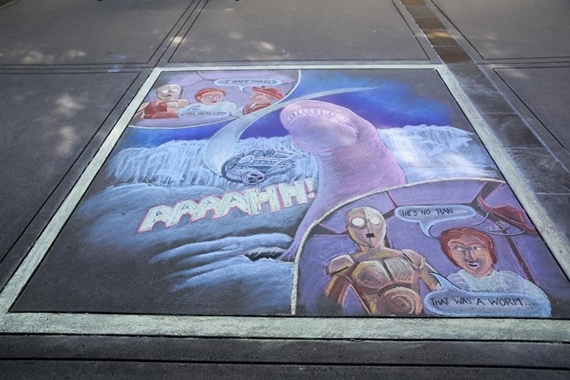 The annual Lucasfilm Sidewalk Art Festival has teams of 2-4 members unleashing their chalky creativity for fun, prizes, and general bragging rights. 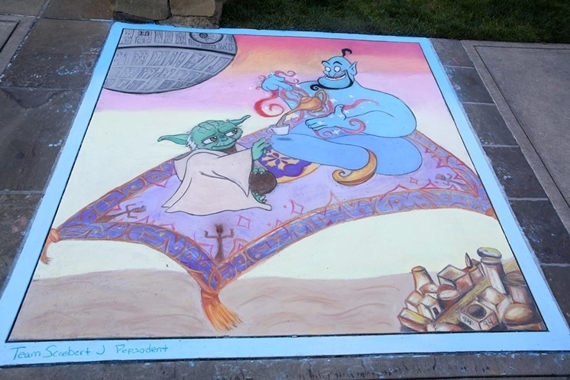 Naturally, the entries include lots of references to Lucasfilm-related material such as Star Wars and Indiana Jones, not to mention several tips of the hat to the company’s new Disney masters. 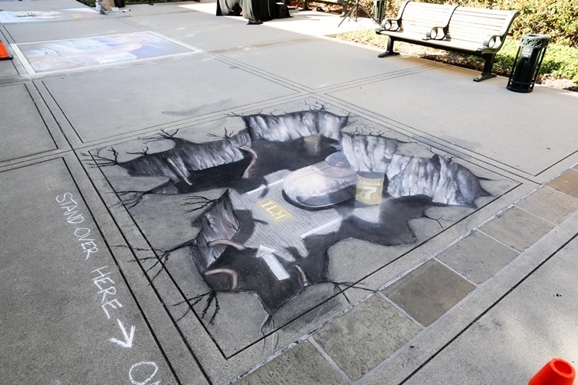 Here’s the piece that won second place, the pseudo-3D “LDAC Parking Garage” by The Dark Side. 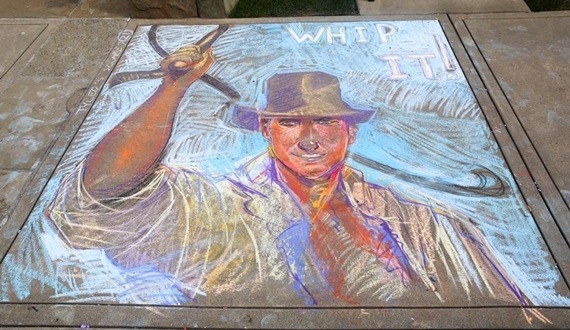 And the third place entry, which I would have awarded a prize simply for the pun-ny name. 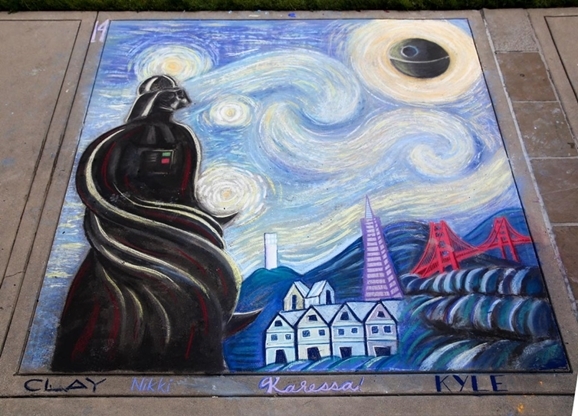 It’s “Death Starry Night” by Down & Dirt. 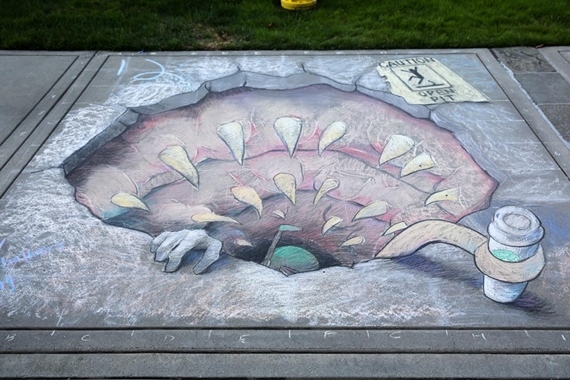 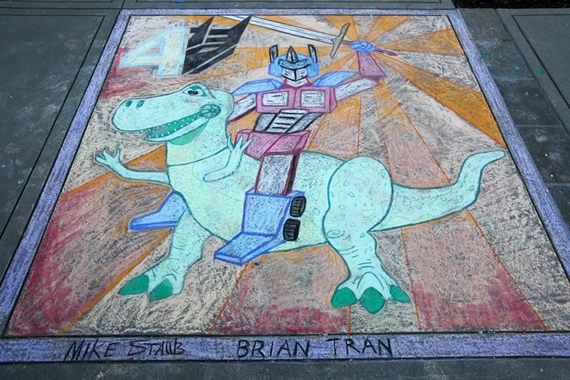 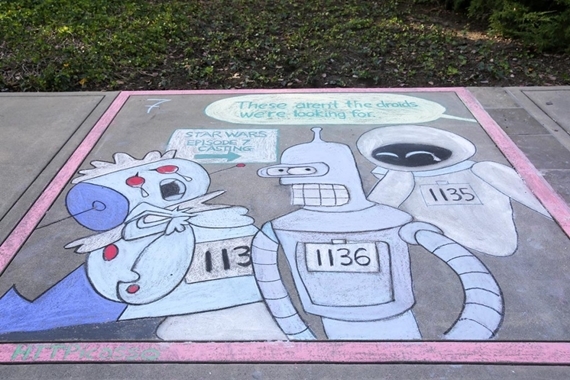 Check out more awesome sidewalk art from the competition below, and you can see the rest at StarWars.com. 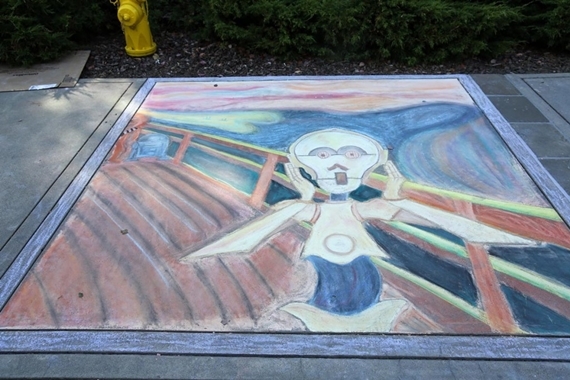 Best Star Wars Inspired Square: “C-3PO Scream” by You Chalkin’ to Me?